The second instalment from The Hanger One Project named 'Icarus_13' follows on from the initial project featuring 45RPM and a Learjet, this time we had to up the game...and this attempt was certainly a game upper! ICARUS_13 ft. SAT ONE & ROIDS from Hangfire on Vimeo. HangFire would like to say thanks to everyone who supported us throughout the project. A special thanks goes out to Roids and Sat One for their resilience and determination, Gavin Strange for his enthusiastic approach and visual skills. Much love to 45RPM for your continued support. 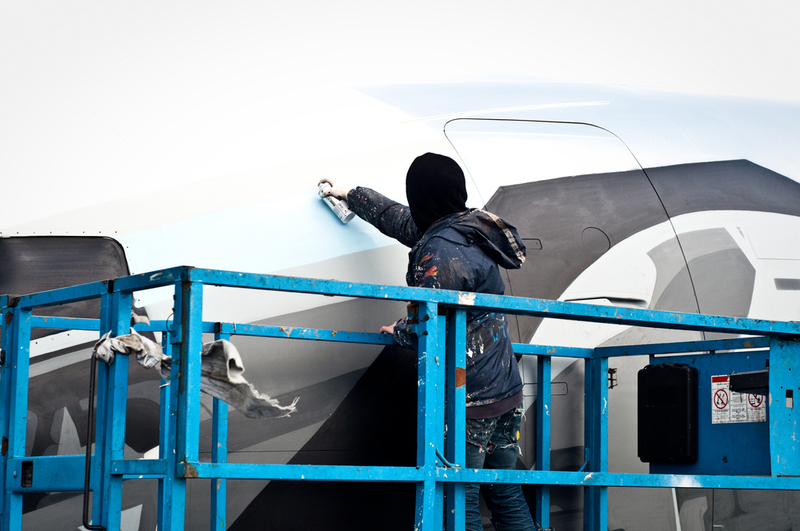 The Hanger One Project is a program of painted aeroplanes, organised by HangFire. First up is 45RPM painting an abandoned Lockheed Learjet, in an aircraft hanger, somewhere in the Cotswolds...quaint. JETSTAR ft. 45RPM from HANGFIRE on Vimeo.